The Memphis Mirror features a square wood frame. It is characterized by a hammered effect showing off its brilliant gold leaf finish. 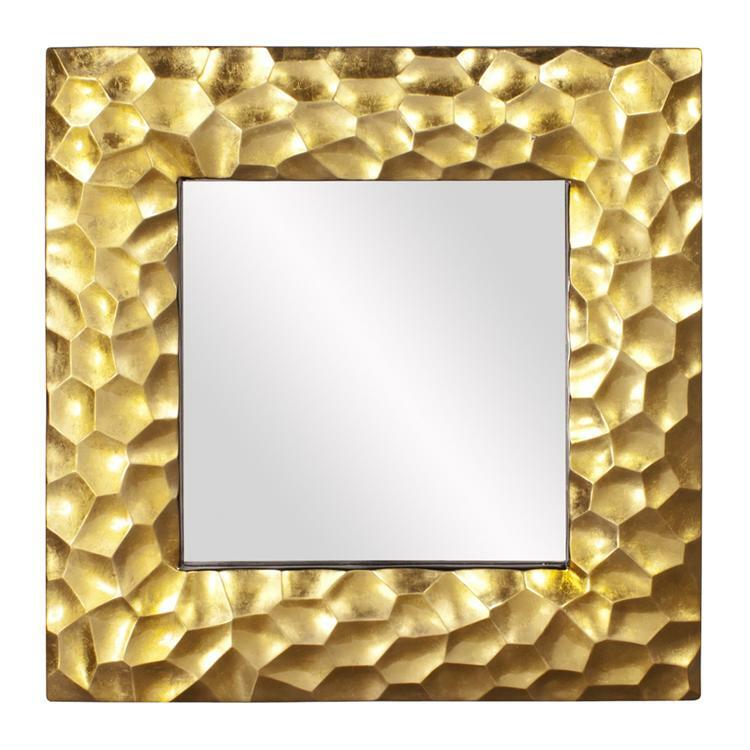 The Memphis Mirror is a perfect focal point for any room. Hang in either a square or diamond orientation! The mirrored glass on this piece has a bevel adding to its beauty and style. Also available in Silver. Customizable for larger orders.